Throughout February 2019, take 25% off the marked prices on rolls of carpet, rugs, and carpet tiles. 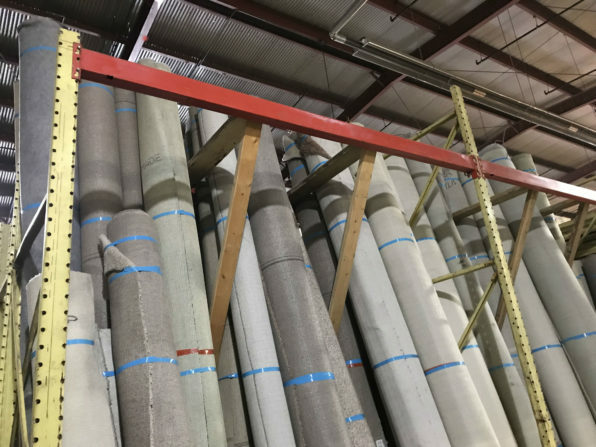 We’ve just filled our racks with rolls of surplus carpet, so you’ll find a nice variety of neutral and colorful options! Please note: Items with missing or damaged tags will not be sold. 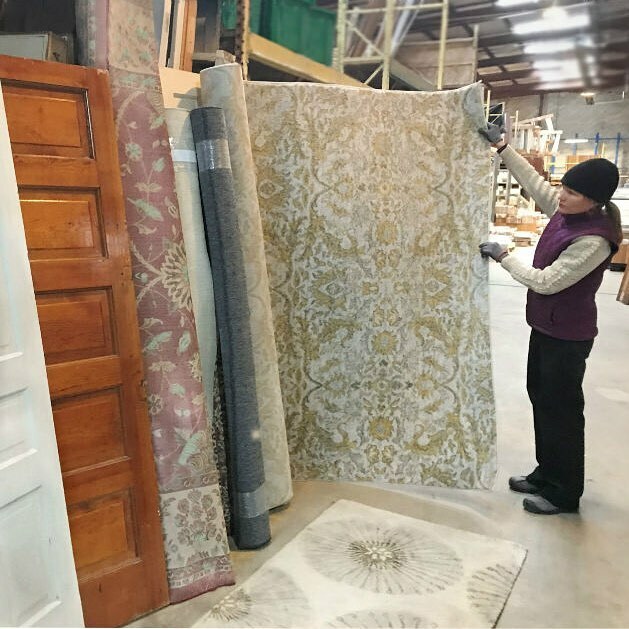 This sale does NOT include select specialty rugs; ceramic, wood, or other types of flooring; items from our consignment partners; or items listed online. May not be combined with other sales. Do you know we have a free pickup service? Are you doing some decluttering, or planning a renovation project in 2019? Please start with a visit to our donations page to learn more about our pickup service – and spread the word to your friends and neighbors, too!